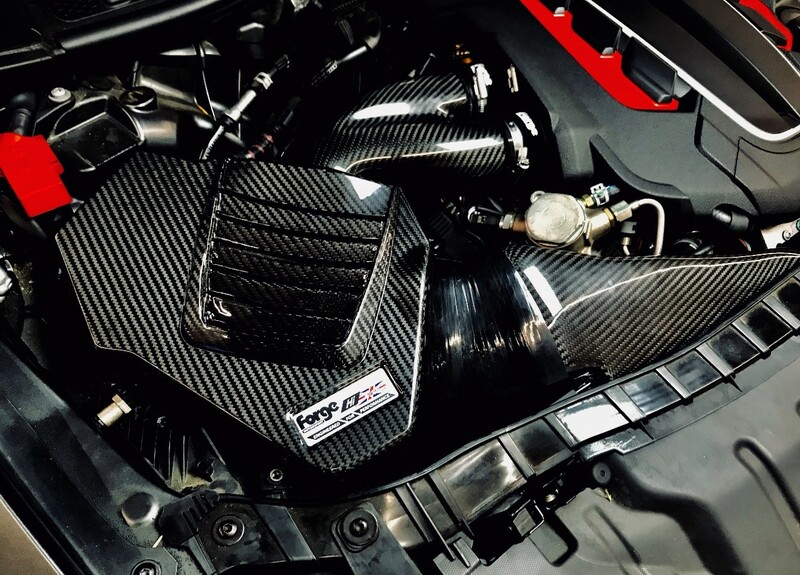 Forge Motorsport are excited to launch our RS6 Carbon Fibre Air Box, another superior product to be released in our ‘Hi-Flow’ range. The carbon fibre parts were created from a mould that was hand finished and refined by one of our many skilled craftsmen at Forge Motorsport HQ in Gloucestershire, England. The smooth, flowing edges were created from military grade foam. The plug was finalised, and a 3D scan was taken enabling us to start the long process of developing the billet tooling for manufacturing. 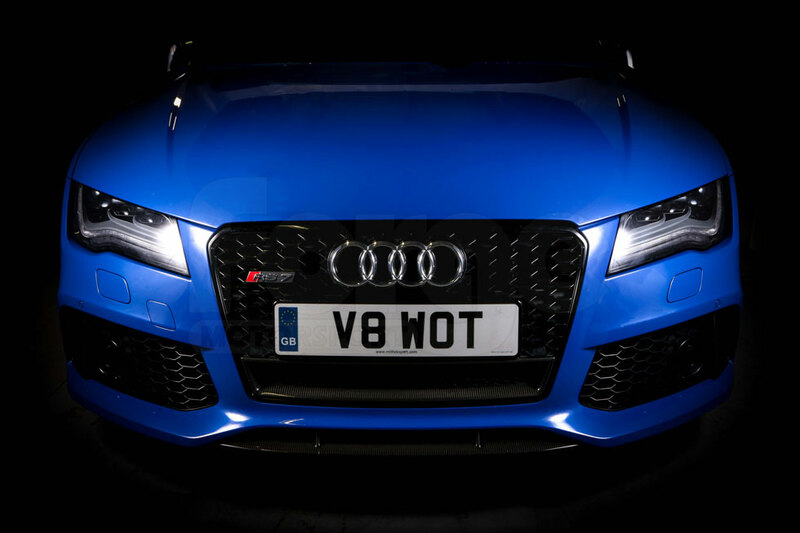 Once the initial carbon fibre sample was developed, we fitted the intake to the Audi development vehicle for rigorous testing. A few small changes were made to ensure we provide our customers with the best possible fitment and performance. 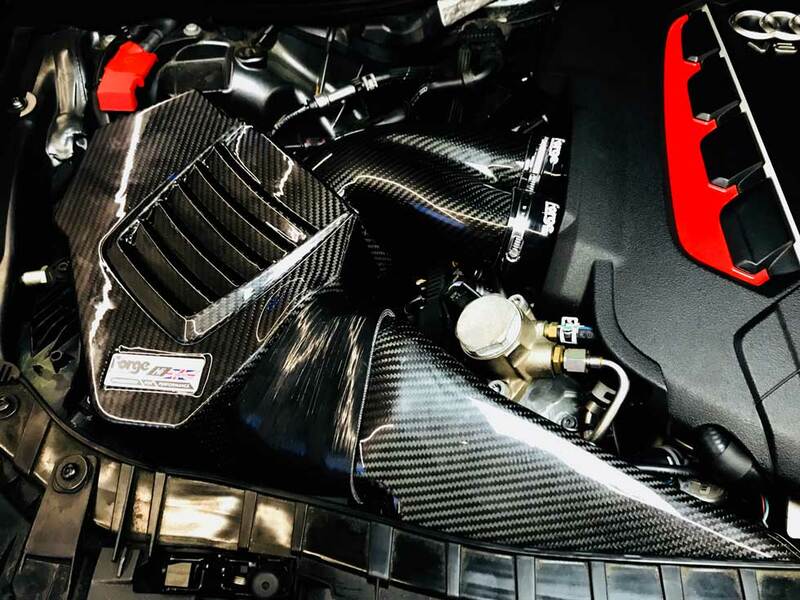 With the design process complete, we wanted to be sure we delivered the best quality product we could and following the extensive design and development of this intake, we enlisted the services of one the world’s leading carbon fibre manufacturers, whose products range from F1 aero, carbon fibre car bodies, and aircraft wings! 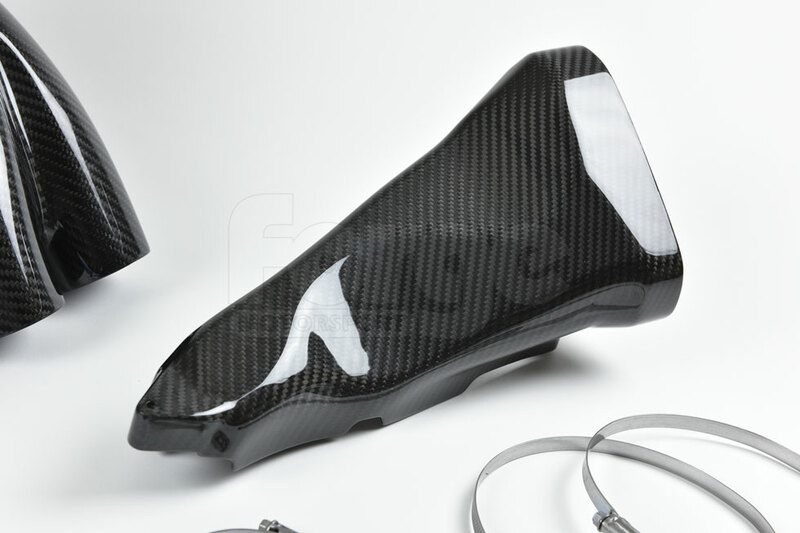 Rather than using a vacuum (also known as liquid infusion) to draw the resin through the mould then pulling the raw carbon fibre cloth to the mould shape, a technique known as Autoclave is used in the manufacturing of this beautifully designed product. This involves the use of up to 10bar of pressure that is blown into a 100% billet mould to force the material out. 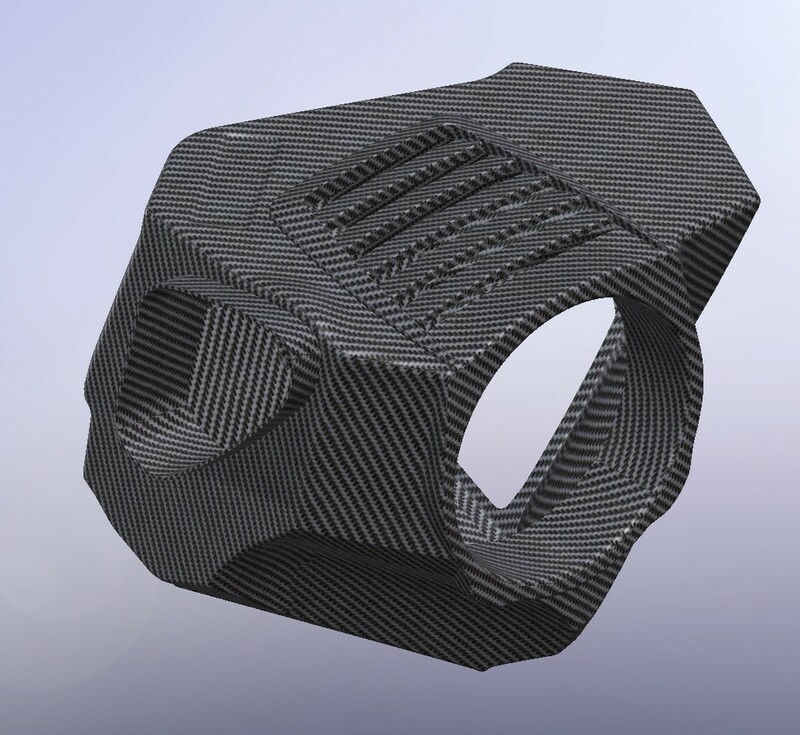 This high amount of pressure ensures the carbon fibre is fully in contact with the surface of the mould. Therefore, making sure the weave is tight, solid and strong; this process will also ensure there are no imperfections in the product. The mould is then heated to cure the resin which in turn gives a tensile strength up to 8 x stronger than mild steel but at a fraction of the weight. 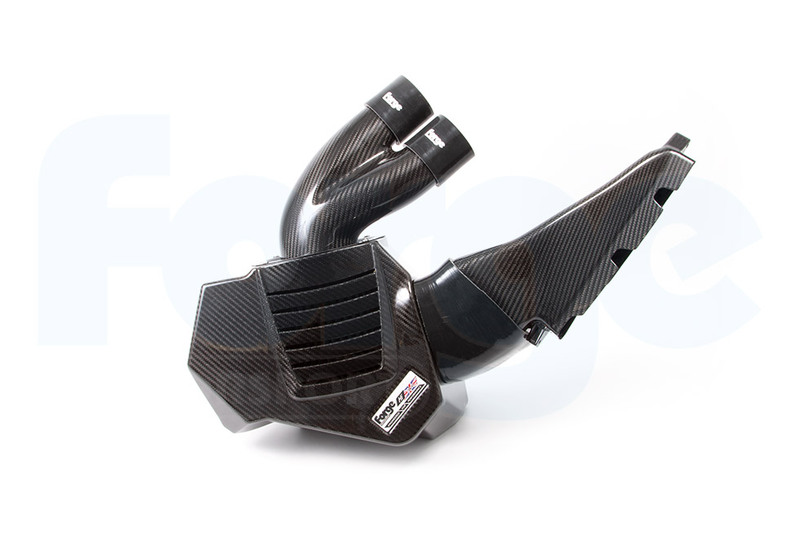 All the Forge Motorsport hoses supplied in this Hi-Flow intake have been designed with 4 layers of ply. 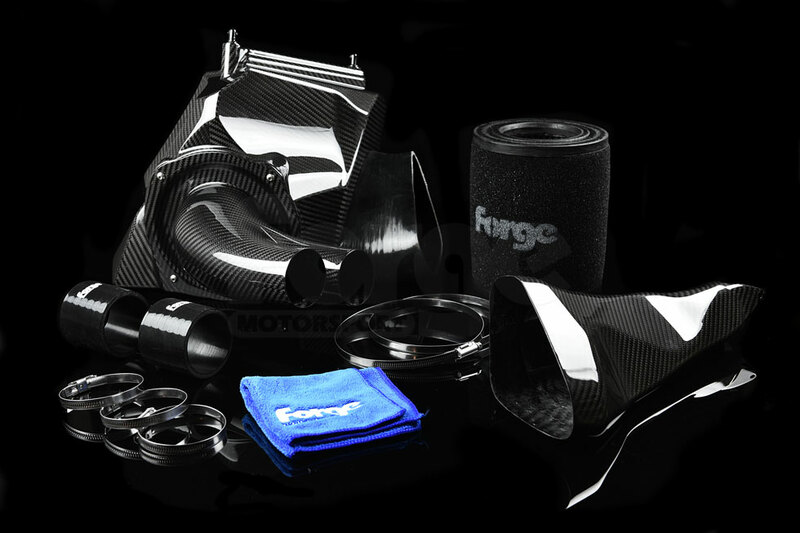 In the development of this intake we also created our own custom moulds for the Forge silicone hoses. 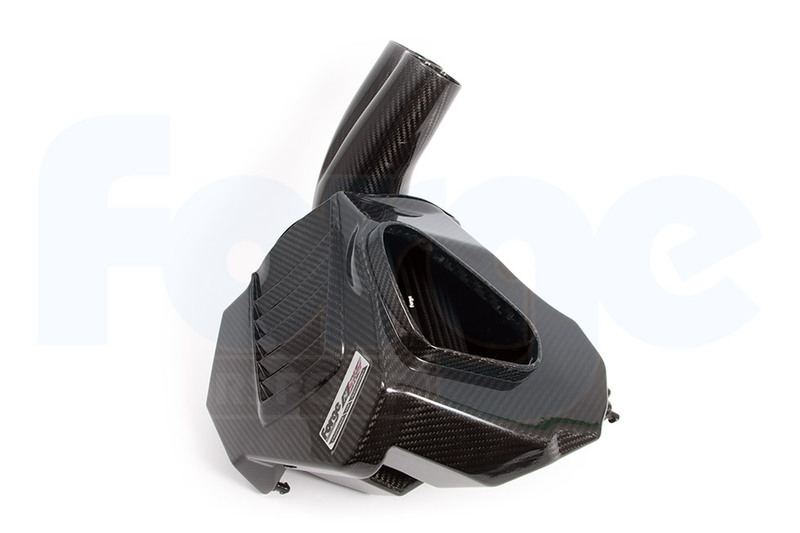 This allows for the ease of fitting and transition of flow throughout the air box internal surface. 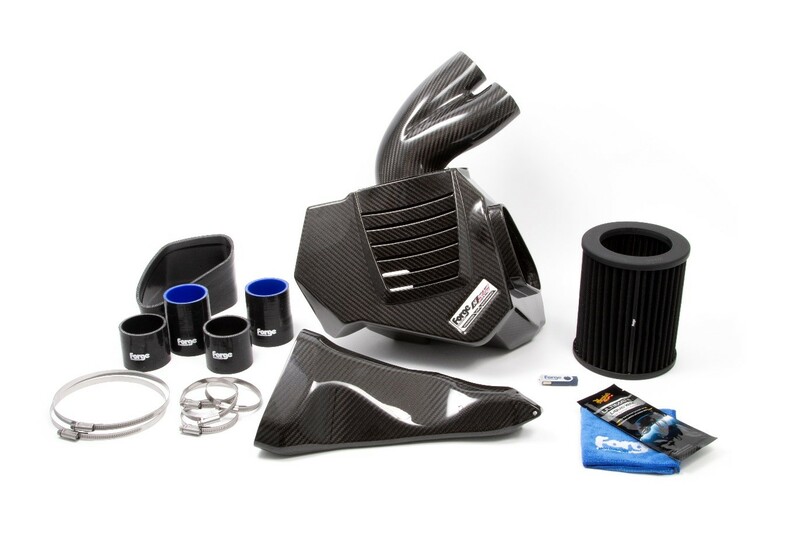 The construction of the silicone has been engineered to exceed that of OEM fitments and will enhance any engine bay, both technically and aesthetically. The marine grade stainless-steel clamps we supply greatly exceed the OEM plastic clamps. The easily adjustable hex head on them makes for accurate location and easy fitment. Having spent so much time on the carbon and silicone development we then turned to equally important aspect of filtration. We engaged our partners and experts in Filtration Control, Pipercross. With over 25 years’ experience in both the domestic and motorsport market they recommended a multi-layer foam construction filter, these filters work perfectly in our ‘Hi-Flow’ range. The large filter provided flows 30% more air than the stock filter and fits snuggly within the housing. A completely standard vehicle was sourced for the final dyno testing. 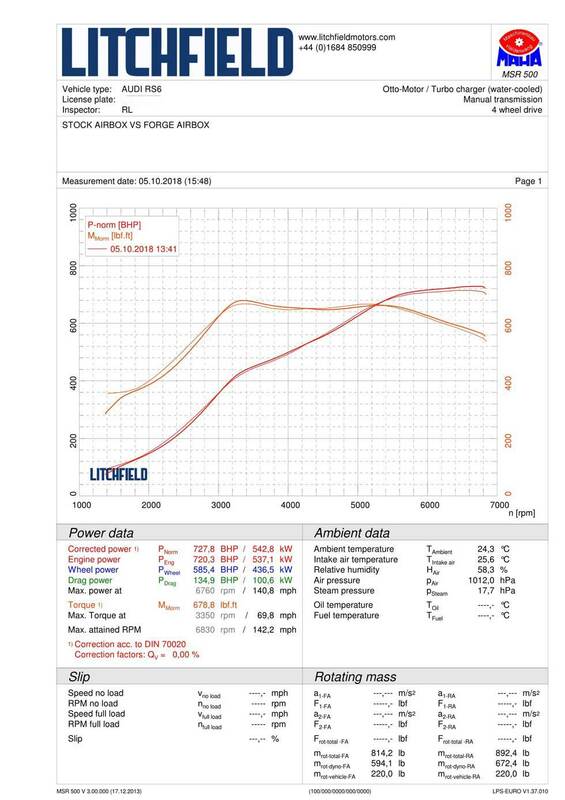 The Forge High Flow airbox produced an impressive 12bhp and 20ftlb increase! 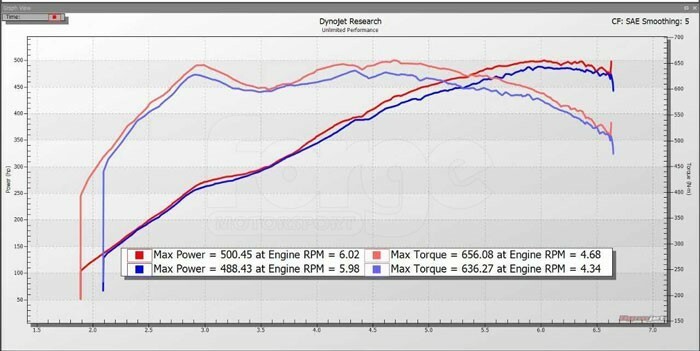 This can be seen in the dyno graph below where the colour blue represents the RS6 with a standard intake and the red representing the same vehicle with our Forge Motorsport ‘Hi-Flow’ intake. Following our initial testing on a stock car we changed the design of the airbox to accommodate the vehicles with a very high state of tune. 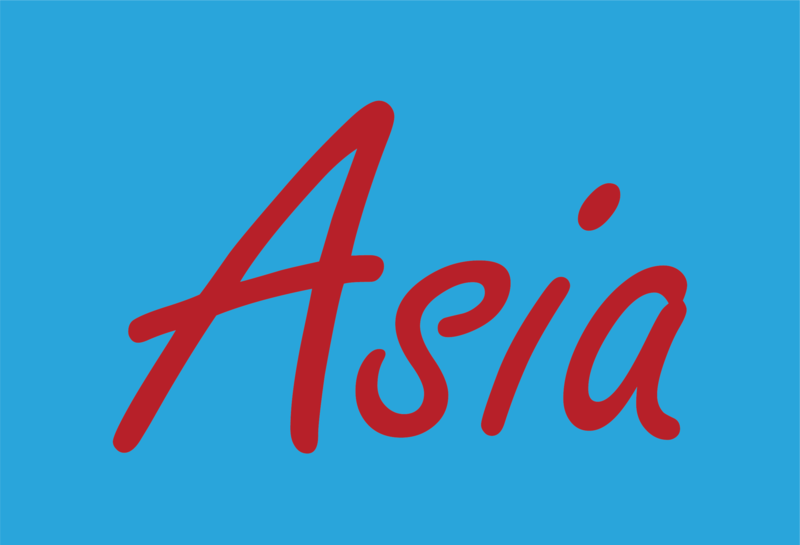 Therefore we offer the choice of a foam filter or cotton filter depending on the stage of tune you have. 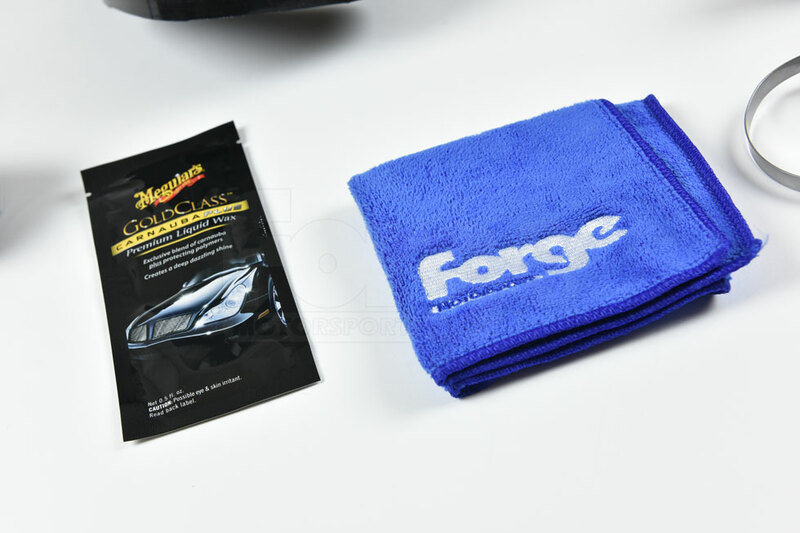 We recommend our Forge Motorsport cotton filter for a stage 2 tuned vehicle. The testing was performed at an independent dyno on a well known Audi performance specialists car and was put back to back against the stock airbox with a performance air filter installed. 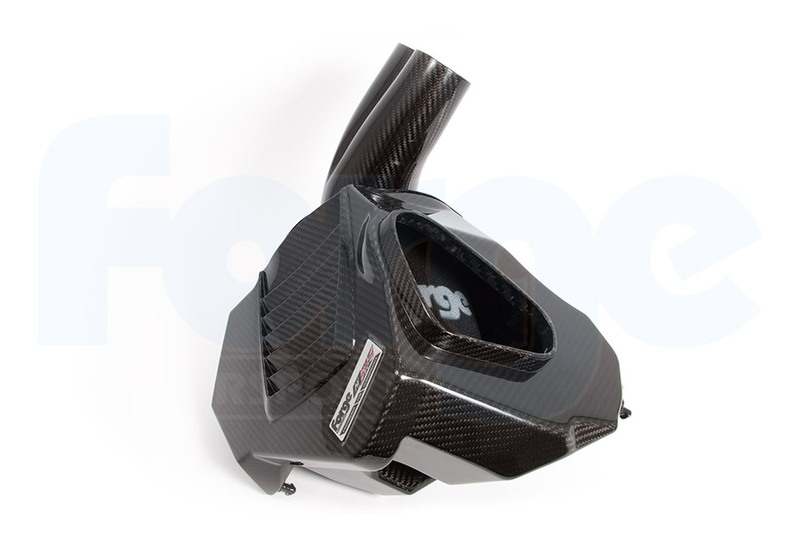 The Forge airbox continued to perform second to none and gave very good gains at over 700BHP. The results speak for themselves with a 12BHP gain and 24lbft of torque throughout the rev range resulting in 727BHP and 679lbft. x1 USB with both video and written installation instructions. 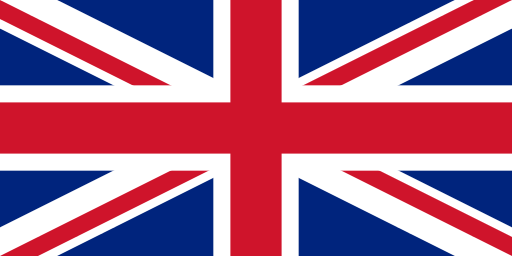 This Forge Motorsport product is proudly Engineered for Performance in Great Britain. The Fast Shipping was unmatched. Upon receipt of the carbon intake I noticed immediately the quality was something not in question. The response sometimes overlooked in acceleration was great the flutters at 3-4K and distinctive blow off it great lots of heads turning when driving around. I recommend this Intake over the rest and going stage two I won’t need to change a thing. This is the real deal after driving it a week and enjoying the S6 more.